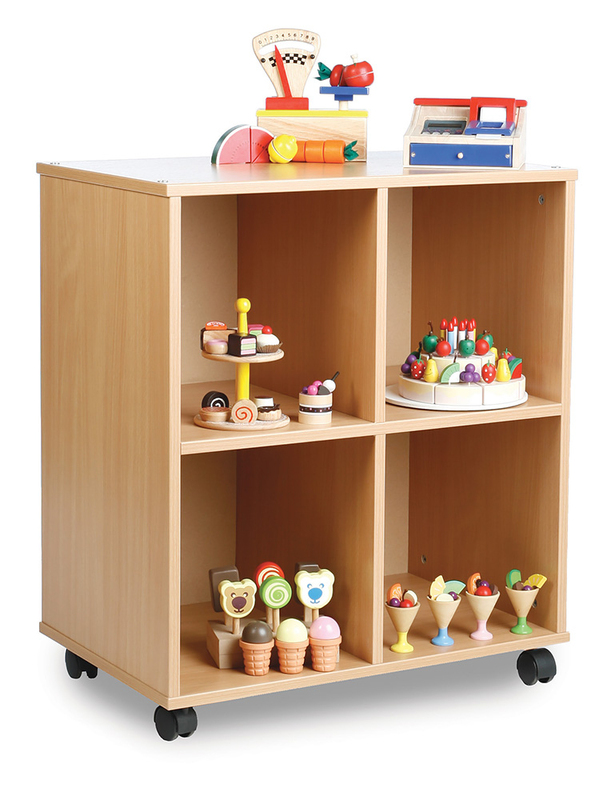 The Allsorts stackable classroom shelves has been designed to complement the Allsorts range of tray storage units and is available with 1 shelf or 4 open compartments. The Allsorts range allows you to mix and match storage units to create a storage wall bespoke to your storage needs. All stackable shelves are supplied with castor feet so you can have your unit mobile or static, also included are connecting pins for stability when stacking. The Allsorts range includes shallow tray storage, deep tray storage, jumbo tray storage and a big book holder which you can mix and match and stack together to create your own storage space. Please note: the toys and book featured in the product images are not included. For more information please Contact Us or call us on 01733 511121. 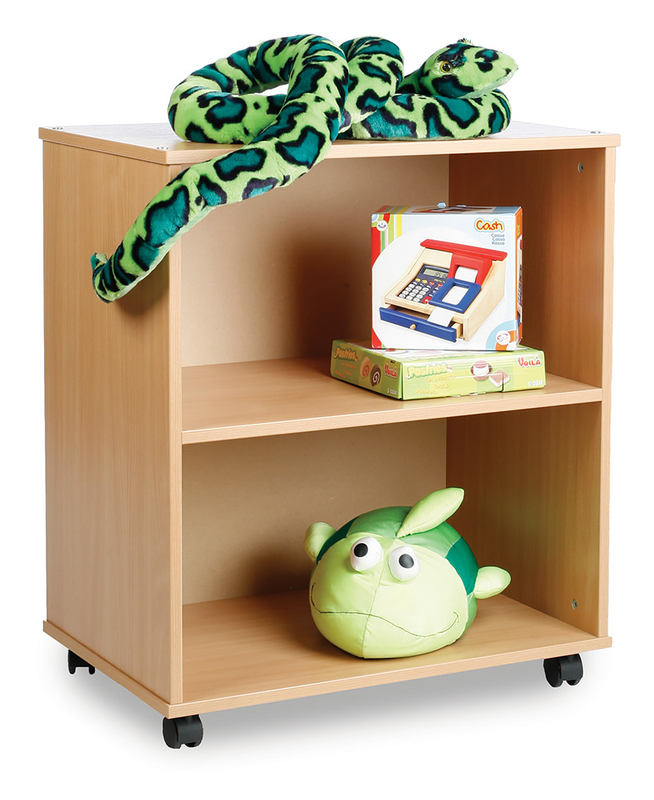 See our full range of classroom storage.